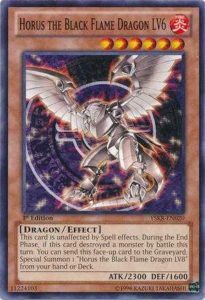 Target 1 face-up Spell/Trap Card on the field; destroy it. 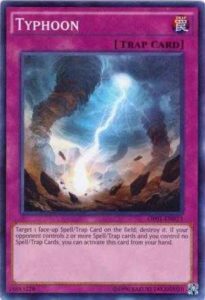 If your opponent controls 2 or more Spell/Trap Cards and you control no Spell/Trap Cards, you can activate this card from your hand. This card is unaffected by Spell effects. 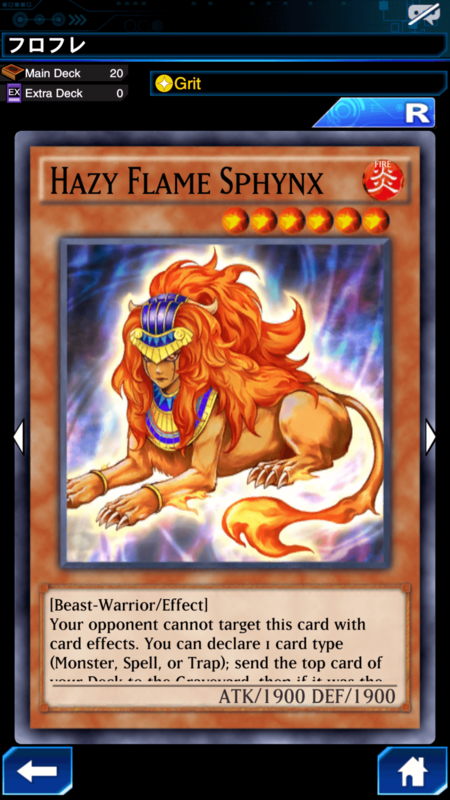 During the End Phase, if this card destroyed a monster by battle this turn: You can send this face-up card to the Graveyard; Special Summon 1 “Horus the Black Flame Dragon LV8” from your hand or Deck. When this card is Normal Summoned, put 3 counters on it. 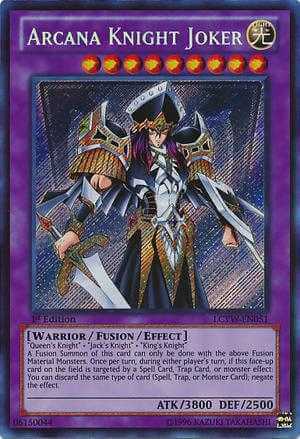 This card cannot be destroyed by battle. 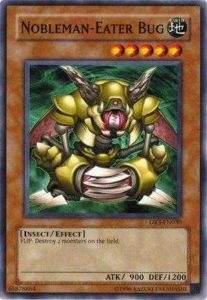 If this card attacks or is attacked, remove 1 counter from this card at the end of the Damage Step. If you cannot, destroy it. Once per turn, during your Main Phase, you can change 1 face-up Attack Position monster your opponent controls to face-up Defense Position. When this card is Normal Summoned, put 3 counters on it. This card cannot be destroyed by battle. 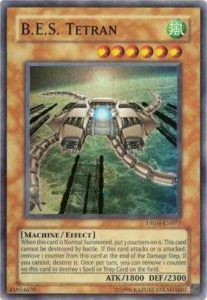 If this card attacks or is attacked, remove 1 counter from this card at the end of the Damage Step. If you cannot, destroy it. 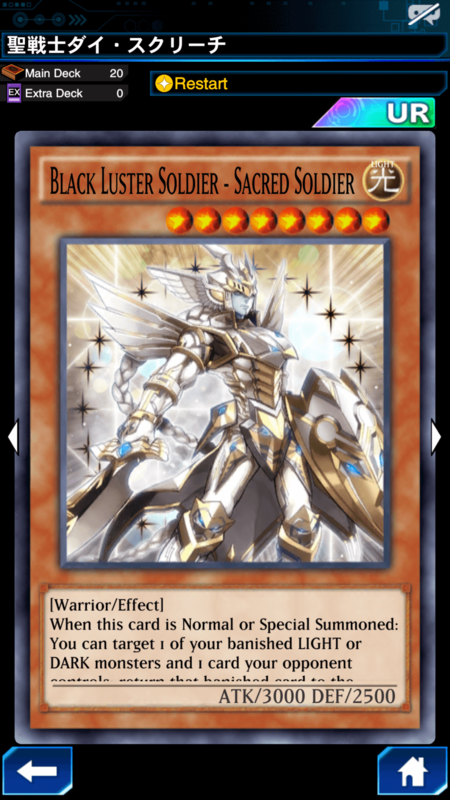 Once per turn, you can remove 1 counter on this card to destroy 1 Spell or Trap Card on the field. 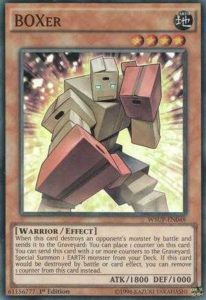 When this card destroys an opponent’s monster by battle and sends it to the Graveyard: You can place 1 counter on this card. 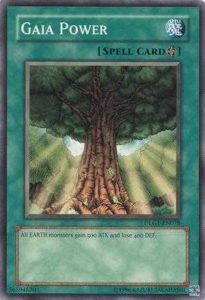 You can send this card with 2 or more counters to the Graveyard; Special Summon 1 EARTH monster from your Deck. 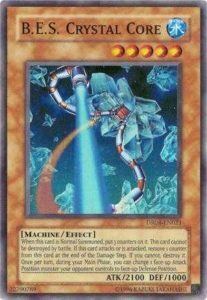 If this card would be destroyed by battle or card effect, you can remove 1 counter from this card instead. 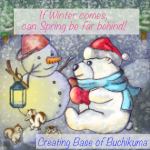 During your Draw Phase, if this card is in your Graveyard and you control no monsters, instead of conducting your normal draw: You can Special Summon this card, and if you do, banish it when it leaves the field. 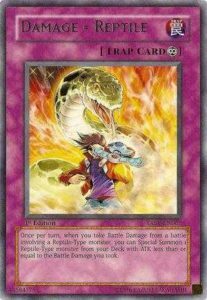 Once per turn, when you take Battle Damage from a battle involving a Reptile-Type monster, you can Special Summon 1 Reptile-Type monster from your Deck with ATK less than or equal to the Battle Damage you took. 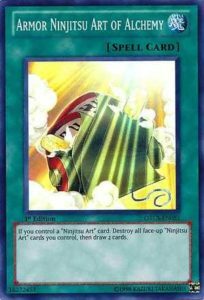 If you control a face-up “Ninjitsu Art” card: Destroy all face-up “Ninjitsu Art” cards you control, then draw 2 cards. 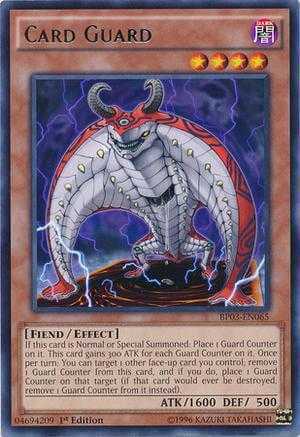 All EARTH monsters gain 500 ATK and lose 400 DEF. 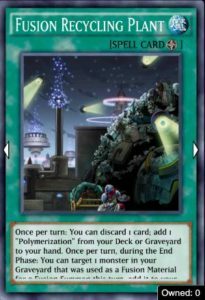 Once per turn: You can discard 1 card; add 1 “Polymerization” from your Deck or Graveyard to your hand. 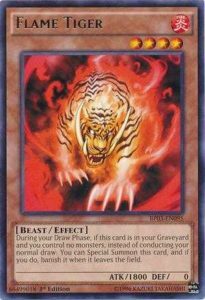 Once per turn, during the End Phase: You can target 1 monster in your Graveyard that was used as a Fusion Material for a Fusion Summon this turn; add it to your hand. 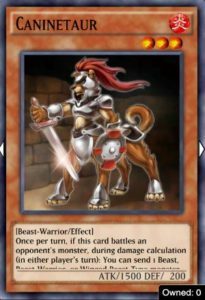 Once per turn, if this card battles an opponent’s monster, during damage calculation (in either player’s turn): You can send 1 Beast, Beast-Warrior, or Winged Beast-Type monster from your hand or Deck to the Graveyard, and if you do, this card gains ATK equal to the sent monster’s Level x 100, until the end of the Battle Phase.